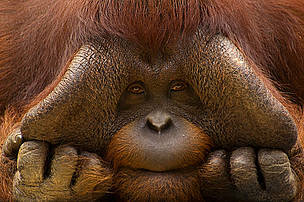 The Heart of Borneo is one of the most important areas for biodiversity on the planet. Spanning a total of 240,000 km2 of equatorial rainforest, it straddles the borders of Indonesia, Malaysia and Brunei. It is home to an incredibly rich diversity of plants and animals that cannot be found anywhere else in the world. However, logging, land-clearing and conversion activities for commercial uses, including rubber, palm oil and pulp production are considered to be the greatest threats to the Heart of Borneo. WWF is working with the 3 Borneo nations (Brunei, Indonesia and Malaysia) to conserve the area through a network of protected areas and sustainably-managed forests. Forests are vital to balancing our planet’s climate and supporting the cycling of our freshwater. They are home to a wealth of biodiversity with up to 50% of the world’s known species living in tropical rainforests. However, we are losing forests along with the endangered animals that live in them at the rate of 36 football fields per minute. But what may be less well known is that one of the biggest sources of greenhouse gases that cause climate change is the destruction of forests. This is because when forests are cleared for agriculture or timber, their carbon stores are released into the atmosphere. WWF is working to ensure key forest nations have strategies in place to reduce deforestation. We are also working with governments and local communities to regenerate forests that have been degraded by fire, logging and clearing for agriculture. 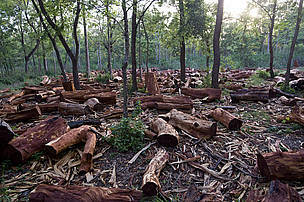 The need for firewood is a major cause for deforestation in Nepal. Finding firewood is an ever more strenuous task, usually carried out by women.